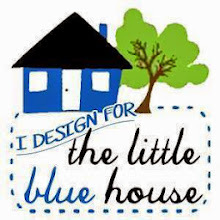 Well, did ya'll think I forgot how to blog? I'm still here, life has just been getting in the way here lately. 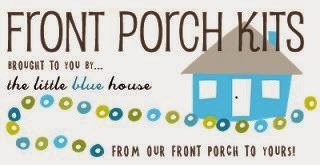 So let's "git to gittin'" and I'll show ya'll something coming your way from My Favorite Things! There's a new sentiment set in town called Clearly Sentimental About Emerson and it features lots of wonderful and uplifting quotes and phrases in some fresh and up-to-date fonts. Ya'll will definitely see another card from me using this set in the near future! For my card today, I paired it up with an older set that I LOVE, Boho Blossoms and made a cute Valentine-ish card that could be given to a great friend. I've got lots of em, so who wants it? This next card is one that was actually "peeked" yesterday, so I'm going to share mine today! 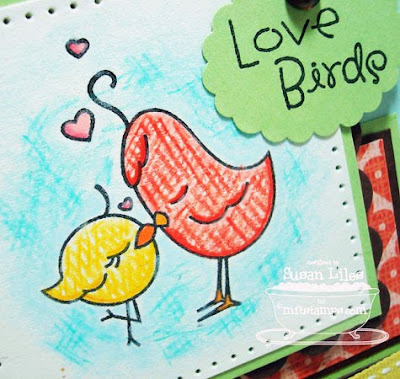 It's from the Love Birds set that includes this super cute bird image, a tree image and a few sentiments. It's perfect for some quick cards when you don't have lots of time to color. Speaking of coloring, see my fancy coloring on this one? I used my Prismacolor pencils (for a change) and instead of doing a blending technique, I just drew little "crosshatch" lines and highlighted certain areas with a little darker lining. It took less than 10 minutes to color it and create the background as well. I may be doing a little tutorial on this if ya'll are interested. Let me know! 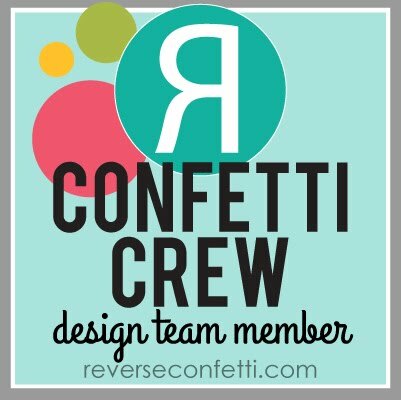 Anyway, there's more eye candy to be had, so pop on over to Kim's blog for links to all the designer's creations! SUSIE Q-TIP: Sometimes you need a card for a certain occasion at the last minute, but don't have one on-hand to accomodate that particular instance. Here's an idea that may or may not work: See if you have a card already made that you could just swap the sentiments out with by gently pulling off that piece of the artwork and replacing it with another sentiment more fitting to the occasion. It worked for me recently and was not even noticeable. It also didn't work for me recently and I don't want to talk about it. Great cards! Love the texture one the birds. Great cards and HAPPY BIRTHDAY!!!! Beautiful cards. Love the crosshatching on the birds...looks way cool!! These are both stunning! I especially love the love birds card - the cross hatch colouring is so effective! these are lovely cards! 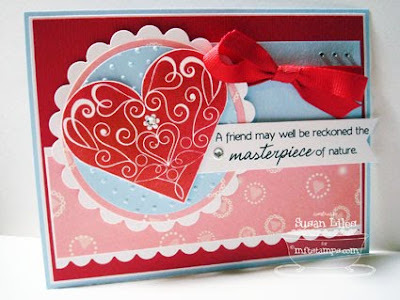 i LOVE how your heart on the valentine card turned out- what a brilliant idea to use that boho stamp- it's gorgeous! 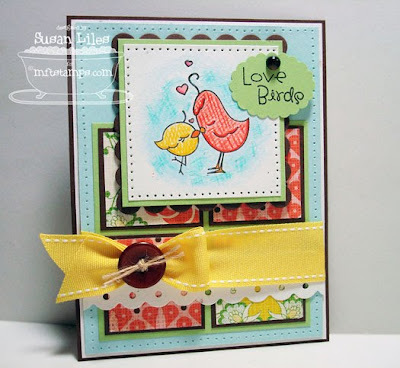 i love your birdie card too- and would LOVE the tutorial! These are both beautiful Susan! I love them! "It also didn't work for me recently and I don't want to talk about it." b) go tell my husband about it, and made him laugh out loud. c) feel better about my own "don't want to talk about" cards (of which there have been many lately). Thanks for the lift & the laugh! LOL, about your tip - I just went thru my cards yesterday and had one in my hand that I was thinking about pulling the sentiment off but I feared it would have been disatrous. I just kept digging till I found one that worked. Fabulous cards Susan! Hope you are enjoying your day! Lovely! I really love how you've done the matting on the bird card, really effective in drawing the eye in! I love the fancy coloring! Very original. And the Boho Blossom heart?! Gorgeous! Susan, both cards are just beautiful! I love the way you colored the Love Birds! 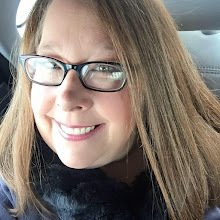 I hope all is okay -- sending hugs! I would love to see a tutorial on how you did that cross hatching - great look!!! Love both cards as always!! Happy Birthday Girlie! Love what you did with those love birds! The etched texture looks perfect on them! Enjoy your special day! The cross hatch on the Think Spring is INGENIOUS!!!!!! I LOVE LOVE LOVE BohoBlossoms and just never seem like I do it justice when I use it!!!! This card is TO DIE FOR BEAUTIFUL!!!!! and about that who wants it?? ME ME ME ME ME ME ME ME ME ME !!!!!!! Very cute card!! Makes for a great Valentine's Day card!! These are both fabulous, Susan! I love the bits of bling on the first and the fun coloring and bright colors on the second! Both cards are just too cute, Susan!